Spent grains go in there? I do, need more "green" in it though. Nope, they go in a separate pile and added in selectively as needed. Whatever grain the deer don't eat. Here are a couple pics of ours, cloched since we've been getting frost at night and there are still peppers and tomatoes out there...the mailbox is for storing garden tools. And you can see how dry it's been here the last few months. Edited by denny, 07 October 2012 - 10:22 AM. My reasons are a mixture of reasons that were mostly given above by others. The first two compel the use of raised beds at my house; the others are just benefits.- Allows cultivation of a rather steep hill by terracing effect.- Most topsoil was removed around my house. I put really good soil into the raised beds.- Extends the growing season a bit by warming the soil. - Along with having "new" soil, the soil in the beds has never been set foot on and compacted, and will stay that way. Plants can establish roots more easily.- Don't have to stoop down quite as far to weed.- Aesthetically pleasing (I built mine with landscaping bricks and I made the beds "artistic" shapes). very nice! i have a nice slope in my yard, and i've been considering doing something like this. In many places around here, you can just put seeds in dirt and they'll grow, so it kind of bugs me that the "experts" act like raised beds are required for everybody. I think it deters people from getting into gardening, because it sounds like too much work. I've had vegetable gardens at 3 different houses, two in Spokane and one on San Juan Island, and I've never used raised beds. The nice thing about not using raised beds is you can just rototill the whole garden for a nice clean slate in the Spring. Throw in a truckload of manure and the previous year's compost to build up the soil and you're good. People with clay or extremely rocky soil will benefit greatly from raised beds, but I have no interest in building them for my garden. Those hoop-houses of Denny's, on the other hand, look tempting. Are those anchored with rebar pounded into the ground? Is the white material just regular PVC or is it water supply hose? It also helps warm up the soil. We use no till "lasagne" style gardening in raised beds and I have nothing but great things to say about it. Denny, you like the lasagna gardening method huh? I bought that book early summer and plan on doing some of that this coming year. I've been collecting materials to help make my layers. Sounds like a neat idea. I really like that hugelkulture method too. It makes a ton of sense, although we don't have a lot of forest for dead trees around here. However, I do have one large tree in my yard that is dead from the drought and ensuing bugs. I may start taking it apart to make one. Supposedly the lasagna method eliminates this. 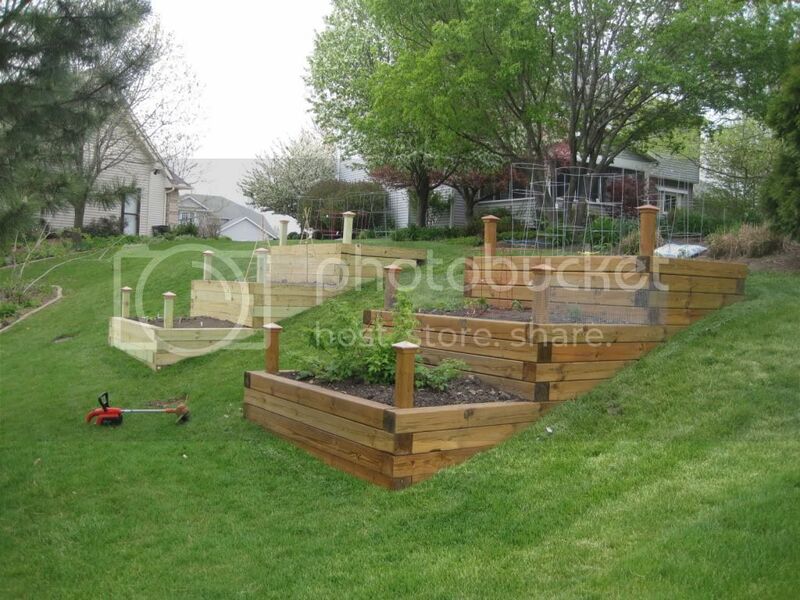 You just keep adding layers of different mediums and it builds a raised bed and no tilling or digging is required. I'm still studying this method as I'v always been a fan of tilling the crap out of a place while adding lots of new stuff to build it up. Denny, you like the lasagna gardening method huh? I bought that book early summer and plan on doing some of that this coming year. I've been collecting materials to help make my layers. Sounds like a neat idea. It takes a few years to get the full benefits from it, but it works really well. Our garden has never been more productive. I'll be giving a go. The soil here is hard and no good for a garden so piling it up is the best solution. Tilling would offer no benefit. I would still have to add all of the good stuff, and a lot of it, to get it workable. I have a good start on materials for my layers.